"In my research, I have found that the highest impact action that a recruiting function can take is to shift to a data-driven mode." There are a lot of things that need to go right for a new hire to eventually become a top performer. In most cases, employees typically don’t check every single box you’re looking for, but there are a select few that come very close. Maybe even a handful that check all your boxes. Once you find those unicorns, it’s imperative that you hang on to them. Every company is different, but it might be awhile until you find another! The ability to manage and lead people is often thought of as an inherent trait that all individuals possess. This is not the case, as shown by Gallup’s State of the American Manager: Analytics and Advice for Leaders. Gallup conducted a comprehensive study based on 2.5 million teams and managers around the world, and their results showed that only 10% of working people possess the talent to be a great manager. Hiring is hard. Hiring people that will stay in a position for a long time is even harder. 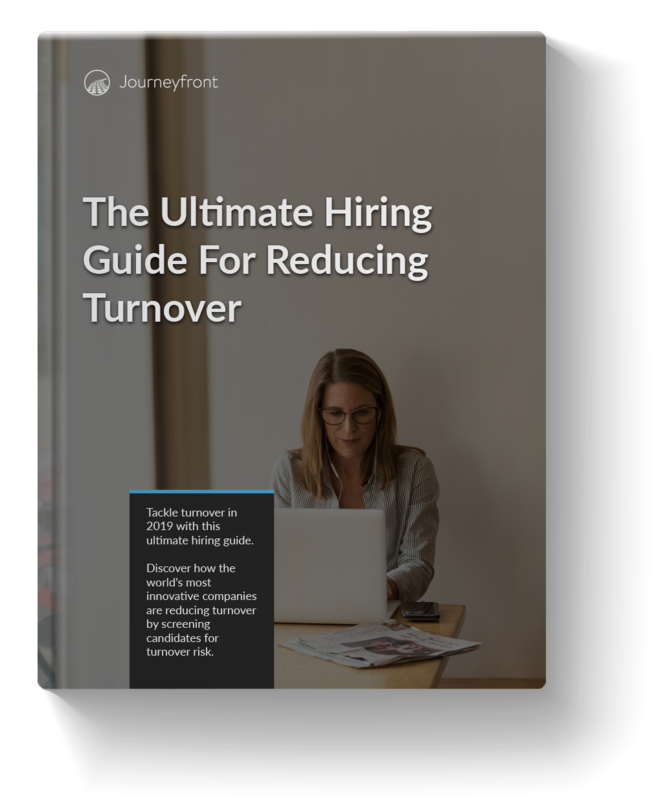 Here are five questions guaranteed to flag a candidate for turnover risk and thus help you reduce employee turnover. One of the most common strategies for reducing turnover has been to invest in employee engagement initiatives. These efforts take many forms (engagement surveys, manager trainings, expensive company perks, etc. ).